Selecting a movie or TV show will automatically begin playback, while menu options linger on the screen for a few seconds. 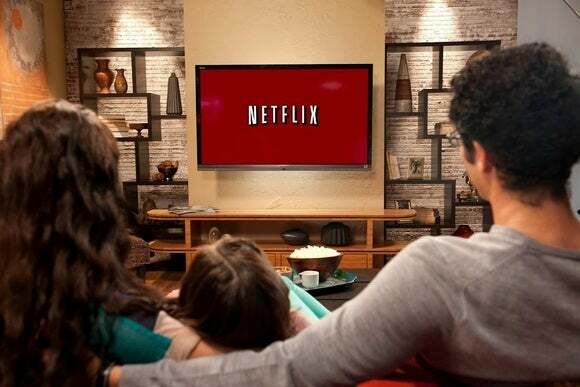 Netflix is rolling out a new feature for its TV applications that seems like it could cause some confusion. When users select a video from Netflix's main menu screen, playback will begin or resume automatically after a few seconds. Additional menu options, such as “Play from beginning” and “Episodes and more,” will remain on the screen as playback begins, and will fade from view after a few more seconds. Previously, users had to navigate that second menu screen every time they selected a video. Netflix must have felt the screen was a point of friction for indecisive viewers. “Video is a rich medium for storytelling and we’ve found bringing video playback into the content selection experience makes it easier to find something great to watch,” the company said in a blog post. On the downside, the new process could be confusing if users don't realize they have only a few seconds to avoid automatic playback and select another option. And blocking several seconds' worth of the actual content with a floating menu doesn't sound ideal. In any case, Netflix says it's rolling out the update globally, and eligible connected TV devices should get it over the next few days. Why this matters: This isn't the only instance of Netflix using video to speed up the content selection process. The streaming video service has also dabbled in showing silent video teasers for featured shows on its main menu screen. Netflix is now going a step further in hopes of helping people get over their indecisiveness, though it risks a backlash from people who already know what they want.